Zurich hosted one of the most elegant football awards events organised by FIFA The Best, after splitting with the Golden Ball award by France Football magazine. Cristiano Ronaldo (Real Madrid), Leo Messi (Barça) and Antoine Griezmann (Atletico de Madrid) the award vied The Best Player FIFA 2016 but finally went to the Portuguese footballer. The stars have begun to walk down the red carpet at the Kongresshaus minutes before 17:30. The most expected was Cristiano, who has arrived, to everyone's surprise, along with his girlfriend, Georgina Rodríguez. Georgina Rodríguez with Cristiano Ronaldo and Cristiano Jr.
Georgina is one more in Cristiano´s family. She has a great time with the mother of the footballer and is all love with Cristiano Jr. 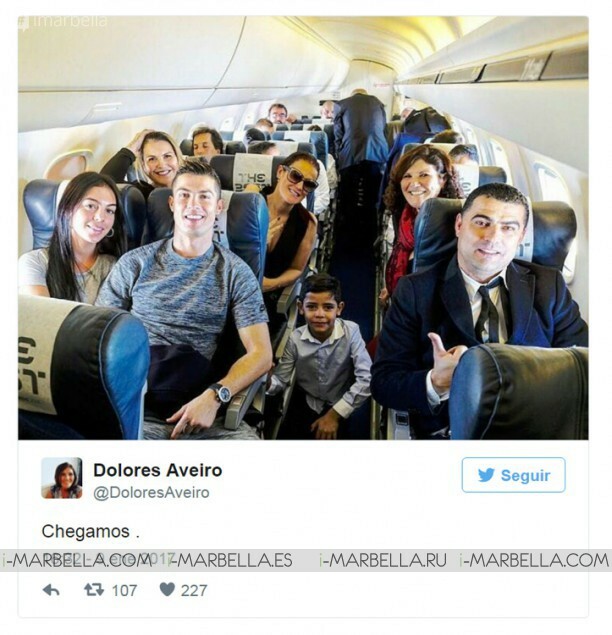 The family has flown to Zurich past Monday, as seen in this image shared by Dolores Aveiro in social networks. 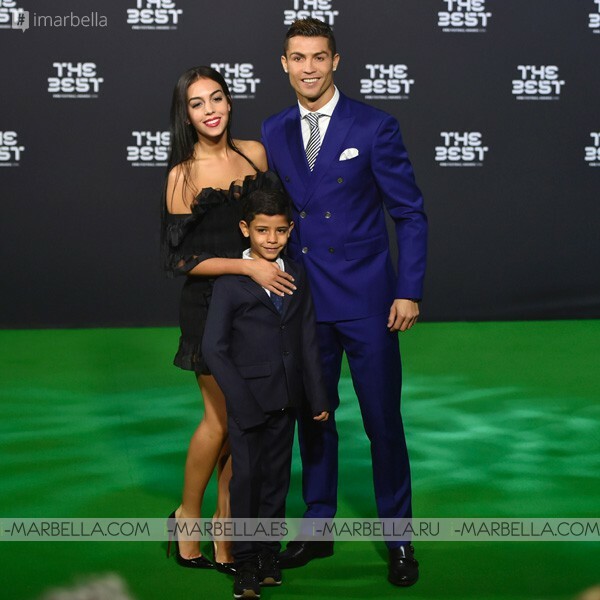 But Cristiano and Georgina have not been the only ones to show their most familiar image in these awards, presented by Eva Longoria. Eva was spectacular as always in a white gown, where she admitted she was freezing since the temperature were below zero in Zurich, past 9th January. Texas-born Longoria is a renowned actress, director and producer, well known for her role in the television series Desperate Housewives where she received two SAG Awards and was nominated for a Golden Globe Award. She is also well known for her philanthropy work, having founded Eva’s Heroes, a charity dedicated to enriching the lives of individuals with intellectual special needs, as well as the Eva Longoria Foundation, which supports Latinas and education. Eva has a significant part in numerous charity organisations as the well known Global Gift Gala. Carles Puyol has arrived arm in arm with Vanesa Lorenzo; Zinedine Zidane with his wife, Véronique; Dani Álves with Joana Sanz and Luka Modric with his wife Vanja Bosnic and two children. Sergio Ramos has attended the gala with Pilar Rubio. 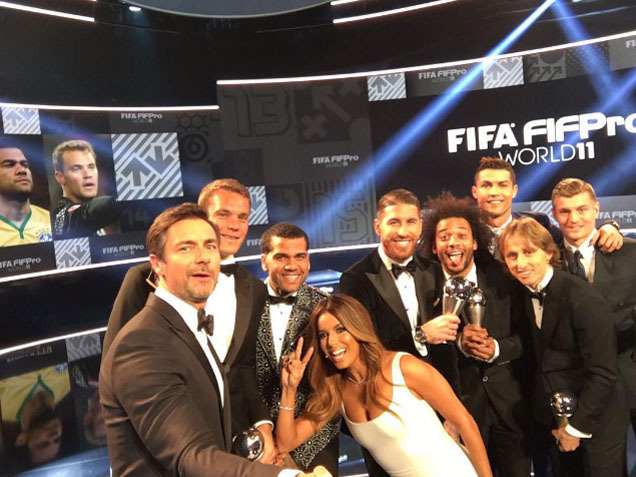 But the undisputed star of the show has been Cristiano Ronaldo and not just for posing with his girl. 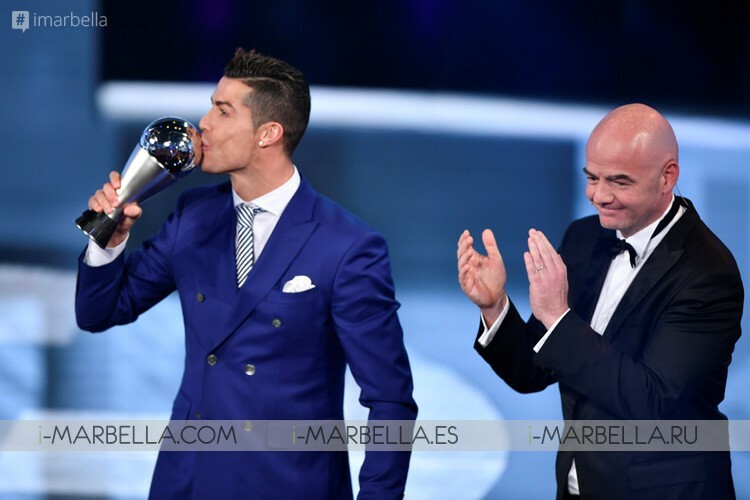 The Portuguese received The Best Award for the FIFA 2016 Player. "I'm delighted," while receiving the award. "I am grateful to my teammates, coach and Real Madrid for everything they have done. I also thank all my family. 2016 has been the best year of my career and it has been shown that I have met expectations A great year at a collective and individual level, "he added.